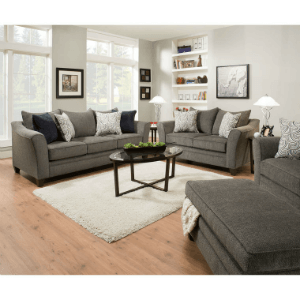 3-Pc Oak Occasional Set 2925 (WD). Includes Cocktail Table 52In x 27In x 18InH and 2 End Tables 24In x 22In x 22InH. Also Available (Not Included In The Price) Oak Sofa Table 2896ST (WD) 50In x 18In x 28InH, Smoked Glass Inserts. Strong Construction. Marble Like Coffee End Table Set. Includes the Coffee and Two End Tables. Easy to assemble. Each piece can be sold seperate.Coffee Table Size: 47 in. Wide x 25.5 in. Deep x 19.2 in. High. 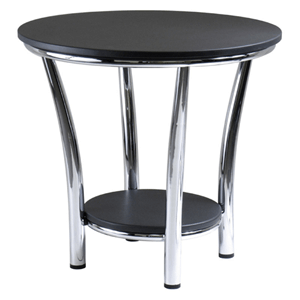 End Table Size: 25.5 in. Wide x 25.5 in. Deep x 19.2 in. High. 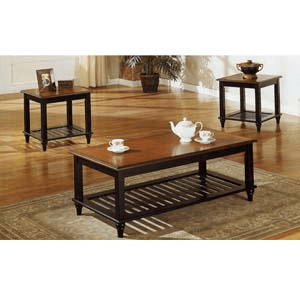 3 Pcs Coffee and End Table Set. Features a Coffee Table and Two End Tables.